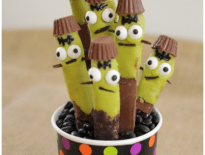 Here’s some avocado love for you…How many times have you tossed out an avocado because it became over ripe before you could use it; too many times, right? Or you thought you picked a ripe one at the grocery store only discover it was hard and definitely not ready to be turned into a delicious guacamole dip. It’s the pits when you have to toss out that delectable green fruit; not to mention the money you just tossed in the trash. With football season upon us and the sharing of small bites to accompanying game day viewing you want to make sure your guacamole dip is fresh and ready for game day; after all who doesn’t love chips, salsa and guacamole to nosh on. 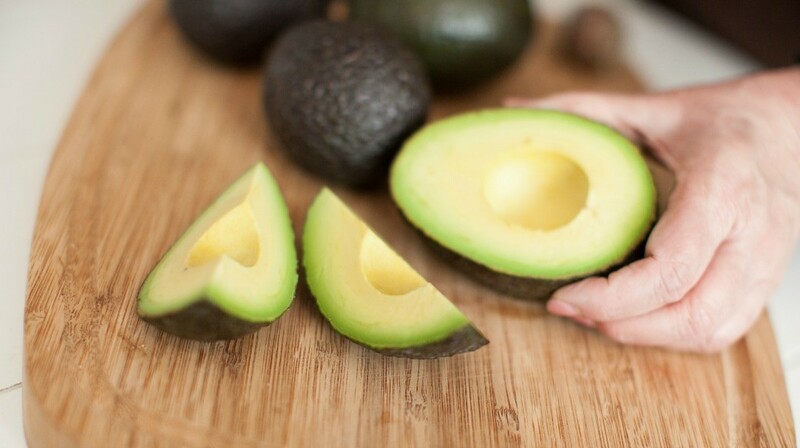 From easy peeling to giving you the cure for brown avocados and a great guacamole recipe we have you covered for a touchdown. Rachel Ray has a sure fire way to keep your cut avocados fresh and from turning brown. They tested 3 methods and came up with a clear winner. There’s the give it a bath only method…submerging the cut avocado in water; this is suppose to protect it from oxygen, which is in part true, this is what causes the surface to turn brown. The result…the avocado stayed green but was waterlogged; this is no bueno for making a yummy guacamole dip. Next we’re sure you’ve tried adding lemon to your water before you stored them only to be disappointed again that the sumptuous fleshy fruit just got soggy and mushy but stayed green. Not a pleasant experience. We love the winning method…it’s so easy… Store it with one of its favorite flavor companions…crushed garlic…Yep, it’s that easy…put a crushed garlic clove in a bowl with the cut avocado and cover it tightly with plastic wrap. This keeps it green and nearly as firm as the day it was sliced. The cut side tastes a bit garlicky, but that’s easily remedied by scraping off a bit of the flesh, now you’re left with nothing but a delicious avocado. When you’re standing in front of the produce bin at the grocery store staring down at these delectable fruits we have a couple guidelines to help you pick the perfect ripe fruit. 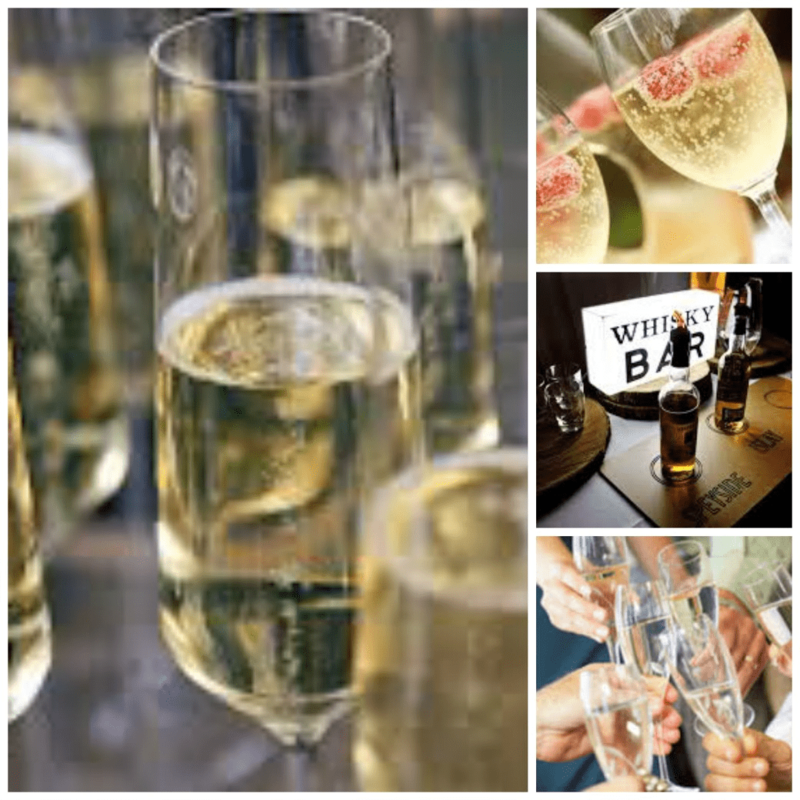 It reminds me of Goldie Locks and The Three Bears when she was tasting all the portages. 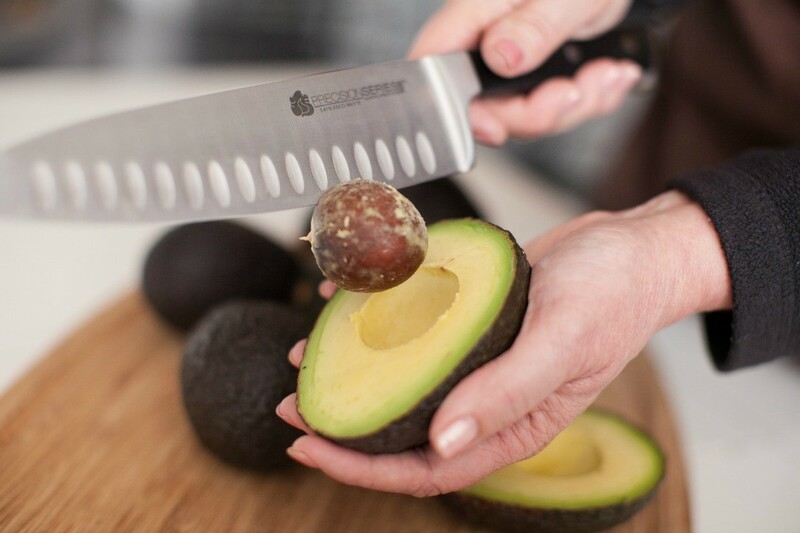 First, remove the little brown stem out of the avocado, if the little indent where the stem was is green it’s not ready, if the indent is dark brown it’s over ripe, but if the color in the indent is beige to light brown, it’s just right and will be a winner! This fruit will have the most flavor and perfect creamy texture. Let’s talk about peeling and removing the seed from the avocado. 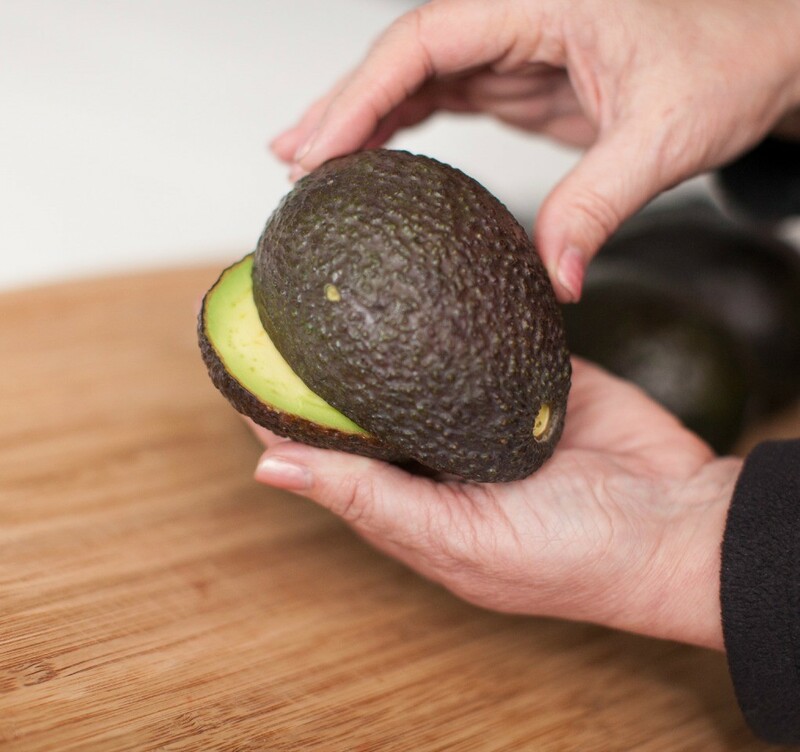 Watch our quick video to learn the art of peeling an avocado. You’ll be saying to yourself, “is it really that easy?” Yep…it sure is. 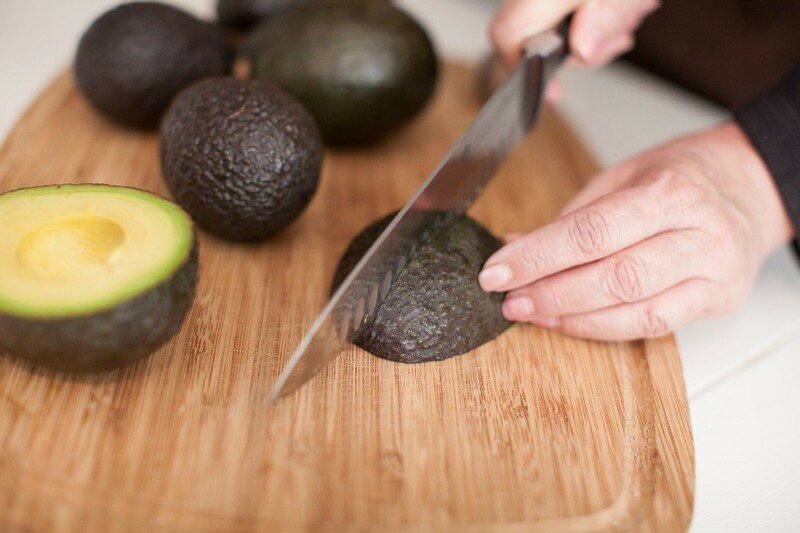 Its super simple once you know the Chef trick’s for peeling and deseeding the avocado. 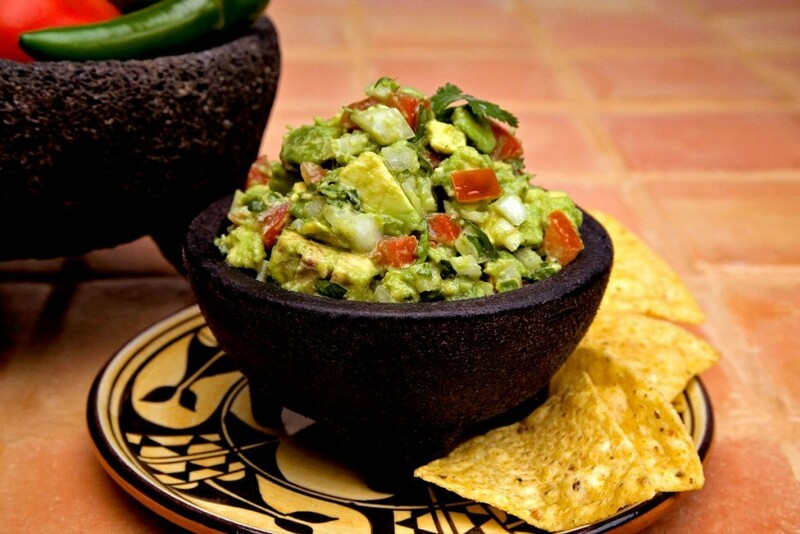 This is signature Chef Louis Frank’s favorite guacamole recipe. She’s a big fan of avocados and loves their vibrant color, creamy smooth texture and the way they pair with other foods. 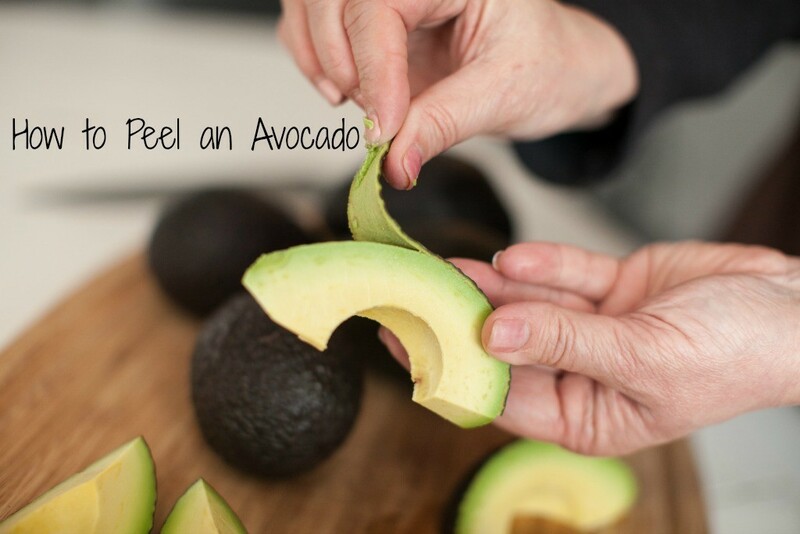 Peel the avocados and remove the pits. Mash in a medium sized bowl with a fork or potato masher. Combine all remaining ingredients in the bowl and stir to mix thoroughly. Serve immediately or cover with plastic wrap and chill for later use. Guacamole has a short shelf life and typically will not last more than one day and may turn a brownish color from oxidation. If this occurs, remix the ingredients in the bowl before serving.